Questions? Please contact us! Sensational and stunning in every aspect! 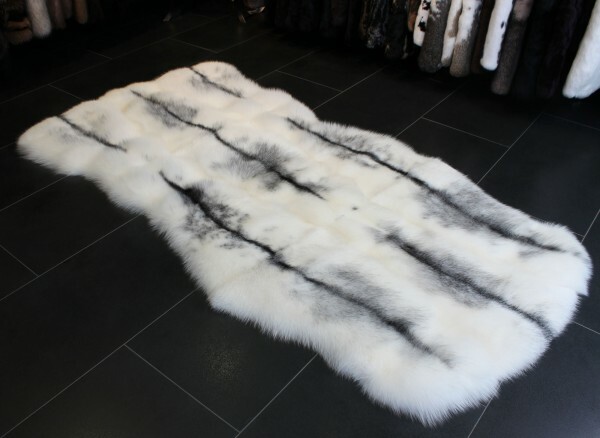 With a luxuriously soft fur feel, this Arctic Marble SAGA Fox Fur Carpet makes a wonderful addition to your home. The fur feels incredible soft and makes your living or bedroom feel ready for cold winter evenings. This gorgeous white and cream fox carpet is one of our favourites at Lars Paustian. Related links to "Arctic Marble SAGA Fox Fur Carpet"
Customer reviews for "Arctic Marble SAGA Fox Fur Carpet"